Start with a basic T-shirt; finish with a fun and fashionable garment that a little girl will love! 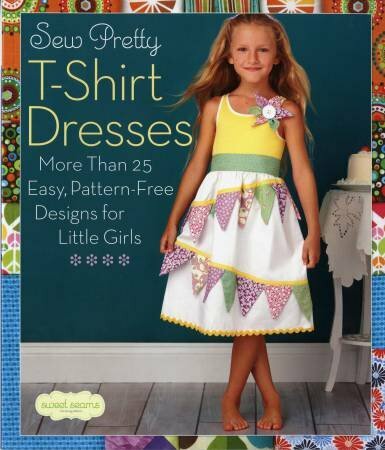 This adorable collection of dresses and tops offers more than 25 amazingly easy projects to stitch and quilt, all using “sew-simple” techniques and affordable, machine-washable fabrics. The designs--all for girls ages 2 to 8--range from an empire-waist party dress with a tiered skirt to a drop-waist hoodie tunic with ruffle trim. There are also ideas for using remnants to embellish jeans and sew hats, purses, and other accessories.